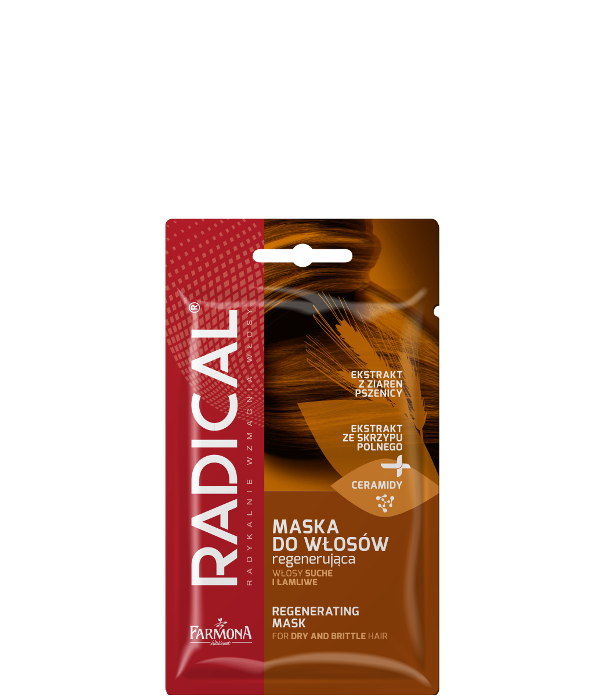 Radical is a true breakthrough in hair care and the struggle against falling out hair. It guarantees triple action: it visibly strengthens hair, significantly reduces brittleness and intensively moisturizes and smoothes. Spread the contents of the sachet evenly on washed and towel dried hair. Leave for 5 minutes and then rinse with water. ceramides, horsetail and wheat extract, keratin, hyaluronic acid.